Theta Alpha Kappa is the National Honor Society for Religious Studies students which seeks to encourage and recognize excellence in the academic study of religion. This club is also dedicated to learning about and celebrating the diversity of religions at Chapman University and throughout the world. TAK sponsors the religious studies club, which is a non-devotional and non-denominational group dedicated to creating a community of students, professors and faculty members who are willing to support one another in intellectual exploration. 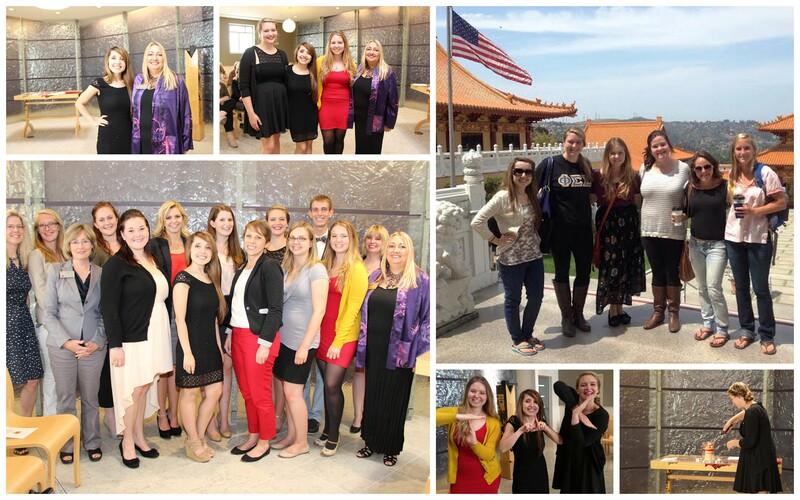 As a member of the Interfaith Council, TAK actively engages with Chapman's diverse religious community. Events sponsored by TAK include the Hunger Banquet, Interfaith Dialogue Series, and Speed Faithing. Please contact our president, Brittany Souza, for further information about our events. Honorary membership is open to all, but members must meet certain requirements to be part of the national honor society. Benefits of being a national member include the opportunity to apply for scholarships and to submit papers for publication in TAK's academic journal. For more information, please visit the national website or contact Professor Julye Bidmead. The faculty of the department of religious studies awards departmental honors to graduating seniors who have demonstrated outstanding academic work in religious studies. To be considered for departmental honors, students must maintain a grade point average of 3.500 in the major, complete a senior capstone project of significance, and be nominated by a faculty member in the department. Each year the faculty of the Department of Religious Studies selects the Outstanding Religious Studies Student of the Year. This award is presented at the annual Humanities Honors Convocation, and names of all winners of this award are inscribed on a plaque posted in the Religious Studies Department Office. For past winners, click here! The Religious Studies Department is delighted to recognize Cristina Smith as the 2014 Outstanding Religious Studies Student of the Year. She is a double major in Religious Studies and English Literature, completing outstanding coursework in each of her disciplines. Cristina is a member of Theta Alpha Kappa, the Religious Studies Honor Society. She served on the executive board for two years and was instrumental in establishing a chapter of this national honor society at Chapman. 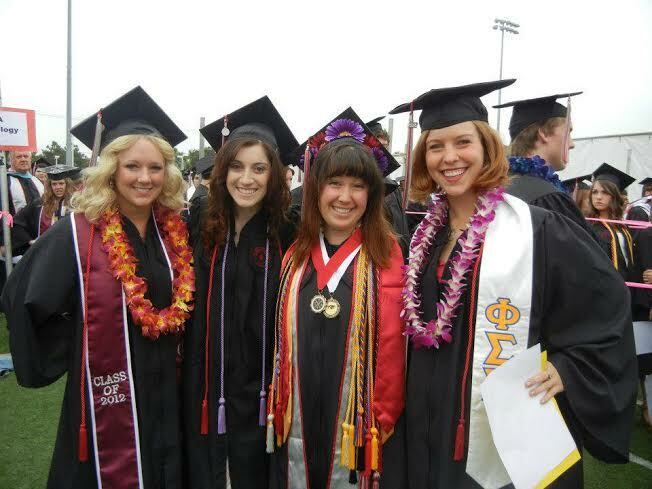 Cristina also was actively involved in her sorority, Delta Delta Delta, completing an impressive number of service hours during her time at Chapman. We are so proud of you, Cristina, and can’t wait to hear back from you about your future adventures and accomplishments—we know they will be extraordinary! Humanities Awards Ceremony. All three are founding members of our chapter of the national religious studies honor society, Theta Alpha Kappa. Rachel graduated with a double major in Religious Studies and Psychology and is currently completing a Master of Science in Religious Studies at the University of Edinburgh. Honah completed a double major in Religious Studies and Sociology. She intends to pursue a master's degree in social work. The Department of Religious Studies faculty is very proud to recognize all three of these students with Departmental Honors. In addition to a plaque and tassels to wear at graduation, each of our awardees also received a copy of Marv Meyer’s last book, The Gospels of the Marginalized, published after his passing. We know that if he were here with us now he would join us in wishing them the very best as they take this next step forward in the adventure of life.